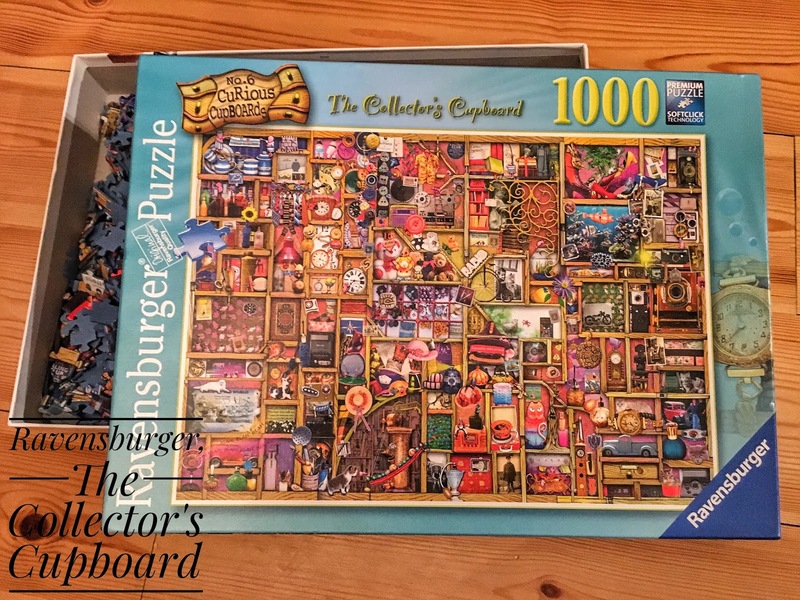 First of all thanks to Provence Pr for allowing me to try and review this beautiful Ravensburger, it's been a while since I've done puzzles and I totally forgot how I enjoyed and relaxed making them! So, let's talk about the new puzzle collection called "The Collector's Cupboard", for now there are 6 different "Cupboards" to choose; The Kitchen Cupboard, The Collector's Cupboard, The Inventor's Cupboard, The Christmas Cupboard, The Craft Cupboard and Gardener's Cupboard; using the amazing illustrations of the famous artist Colin Thompson. 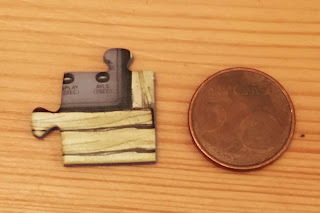 Each puzzle has 1000 pieces, they are small, the size of a 5 cents coin, it may seem small, but they are the perfect size not to have a too large puzzle but enough to see all the details of the puzzle. Colin Thompson was born in London in 1942, Colin has lived in a variety of locations, including Mallorca, Great Bernera (in The Outer Hebrides), and for more than 25 years in a 300-year old farmhouse near Hadrian’s Wall. In 1995 he moved to Australia where he now lives with his wife, two dogs and three ducks in a beautiful valley called The Promised Land. He is best known as a writer and illustrator of children’s books, Colin’s first book was published in 1991, and he has had over 70 books published across the world since then. Colin’s illustrations are full of fun, intrigue and parody, and are packed with objects and events, designed to keep you interested as you search through the puzzle pieces! 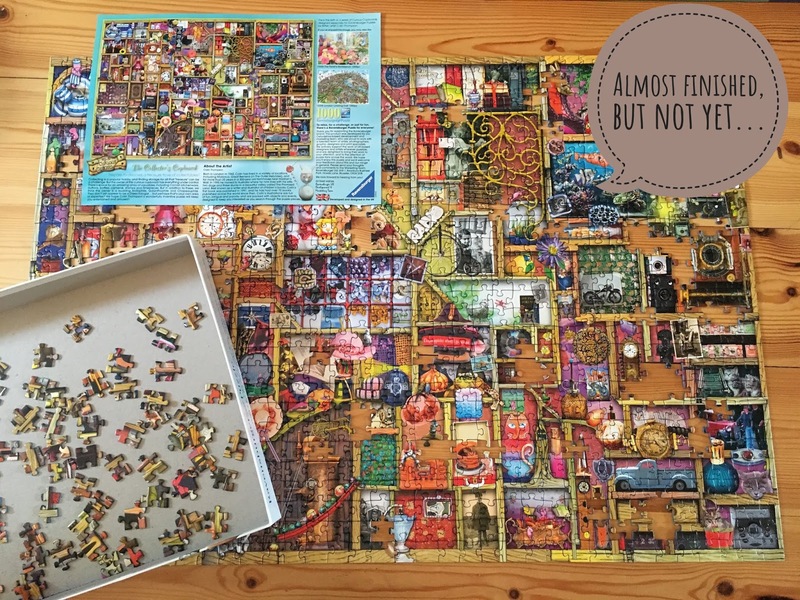 I've always loved Colin Thompson creations, but let me say that these puzzles are so colourful and full of secrets that will not only keep you entertained while you make the puzzle but after, searching for small things hidden inside the puzzle! My little one really enjoyed searching for small things once I finished doing the puzzle, it was a great way to learn new words, learn how to count and keep entertained him for a while. 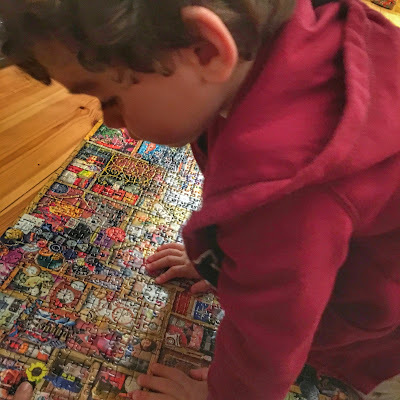 Do you have a favourite moment when you are doing a puzzle, mine is when there are more or less 100 pieces missing and I can put them without having to look at the finished picture!